Roll up! Roll up! Ladies and Gentleman, Boys and Girls, for one day only Foyles will once again be hosting a circus of literary delights to spook even the bravest amongst you. Come and meet authors Michelle Harrison, Zoe Marriott, L.A.Weatherly, Karen Mahoney, Laura Powell, Ruth Warburton plus many more. Come to The Lowry and follow one small duckling’s journey as she finds her feet in this interactive adventure, brought to life with stunning scenery, hand-made puppets and delightful storytelling. Adapted from Jonathan Emmett’s charming book by Topsy Turvy Theatre. Che Golden, author of The Feral Child will be running a workshop for all budding young writers. Learn about characterisation, description, atmosphere and of course ‘getting started’. This is a great opportunity to learn and have some fun with a great writer. 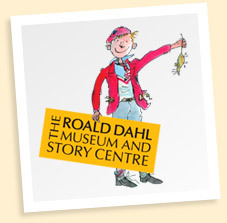 Come to the Roald Dahl Museum and meet Museum veteran, poet/guitarist James Carter. First hear James perform some of his funky rhymes and wild guitar, and then he’ll show you how to write a rhyme-style fairy tale rap. Join three pigs in their cribs, a Hoodie in da hood, Cinderella in bling and much, much more. £3 per person. The event will be held at 12.30pm and 2.30pm. Suitable for 5+years. Join local author Michelle Robinson at Hunting Raven Books for the official launch of her new book Goodnight Digger. Join poet Mike Barfield and learn to be merry minstral as part of York’s Big City Read. It will be a laugh a minute as Mike shows us magic tricks and helps us become jesters with our own jokes, poems, songs and limericks. We may even make a jester’s bladder. 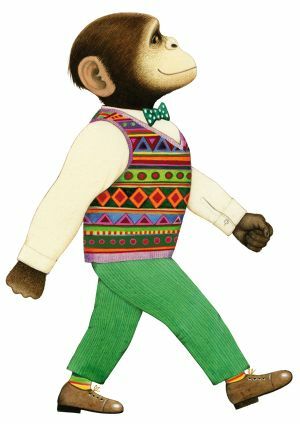 Anthony Browne is a truly unique and exceptional picture book artist whose pictures often tell more of the story than the words. Through the Magic Mirror: The World of Anthony Browne brings Anthony’s work to life, with real street scenes including the infamous Willy the Wimp, the character said to be based on Anthony himself.